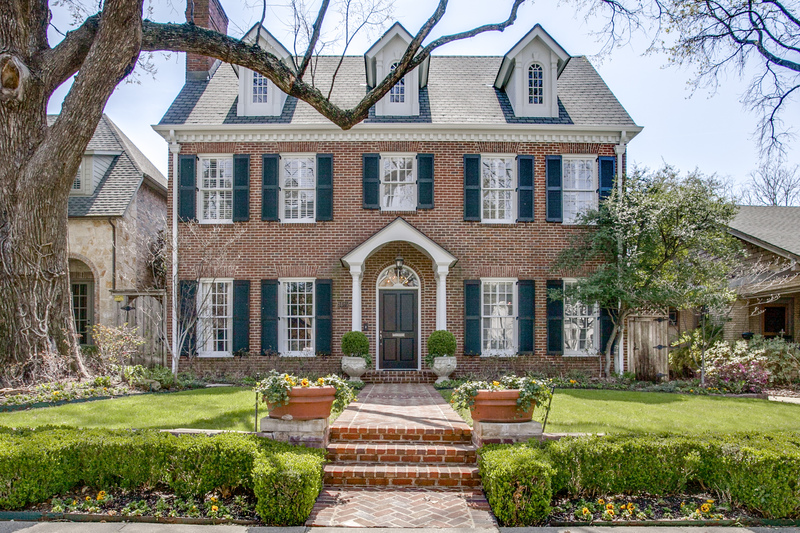 Situated in prestigious Highland Park within the coveted Armstrong School District, 3605 Harvard Avenue is a stunning, completely remodeled brick traditional residence nestled on a beautifully landscaped 50′ x 150′ lot and has fabulous drive-up appeal. Details include 10-foot ceilings, spacious entertaining rooms with elegant proportions, handsome hand-scraped hardwoods, deep molding, stylish lighting treatments, plantation shutters, and gorgeous marble, granite and porcelain tile accents throughout. Exuding modern elegance with its sophisticated chic interiors, the fabulous two-story home offers approximately 5,455 square feet, an inviting center entrance hall, chic formal rooms, a richly paneled study, oversized family room with abundant built-ins, a wet bar and a wall of light-filled windows overlooking the outdoors, spacious chef’s granite island kitchen with premier SubZero,Viking and Thermador stainless steel appliances, a breakfast bar, butler’s pantry and a large breakfast area, oversized vaulted game room, luxurious master suite with a sitting area, marble surrounded fireplace and gorgeous His and Hers separate marble and porcelain tile baths with huge walk-in closets, an expansive brick veranda overlooking a fabulous pool and spa with waterfalls, and a two-car attached garage.